Many people say that coffee is just not coffee if it isn’t taken black. For me, while I love black coffee, I really love a good coffee that has been infused with just a little cream and a delicious flavoured coffee syrup. 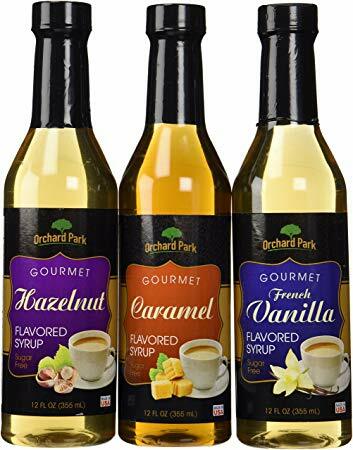 But — which coffee syrup is the best to give you that amazing cup of coffee your taste buds desire? Today we are going to look at 7 different ones (and I will be sure to share my favourite out of the seven as well). Flavoured coffees have become increasingly popular because home coffee makers are trying hard to recreate their favourite speciality coffee shop coffees. They want to spice up their lattes and cappuccinos. Here in the UK, that is no different, so without further ado, let’s look at the best 7 flavoured coffee syrups for coffee lovers. One of the most widely known and most popular flavoured syrup has always been vanilla. Vanilla is excellent combined with coffee. 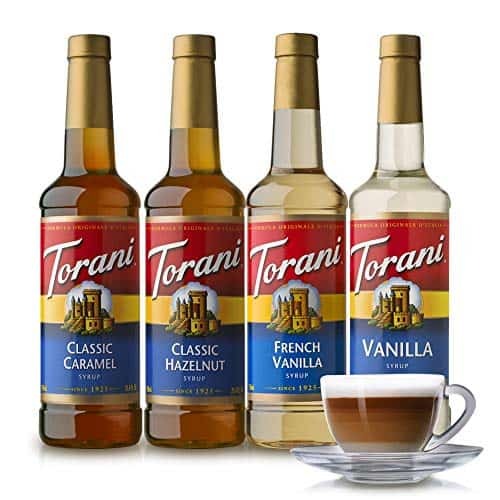 Vanilla lattes are very popular in coffee shops across the UK which is why this syrup is considered the top and most popular out of the seven we are looking at. When you think of the second favourite, chocolate is next in terms of most popular flavoured coffee syrup. Why you ask? Coffee and chocolate have long been flavours that complement each other beautifully. When visiting coffee shops and listening to people place their order, you hear “mocha” and chocolate more than you do anything else. It definitely makes for a great cup of coffee. Cinnamon is a flavour that works incredibly well with coffee and is great for seasonal specials. Cinnamon lattes are extremely popular at Christmas time offering a lovely rich and festive flavour. If you want to really up your coffee, after adding a little cinnamon coffee syrup to your cup of joe, sprinkle a little fresh cinnamon on top to take your coffee up even one notch further. A great flavour for both coffee and hot chocolate alike are hazelnut syrups. 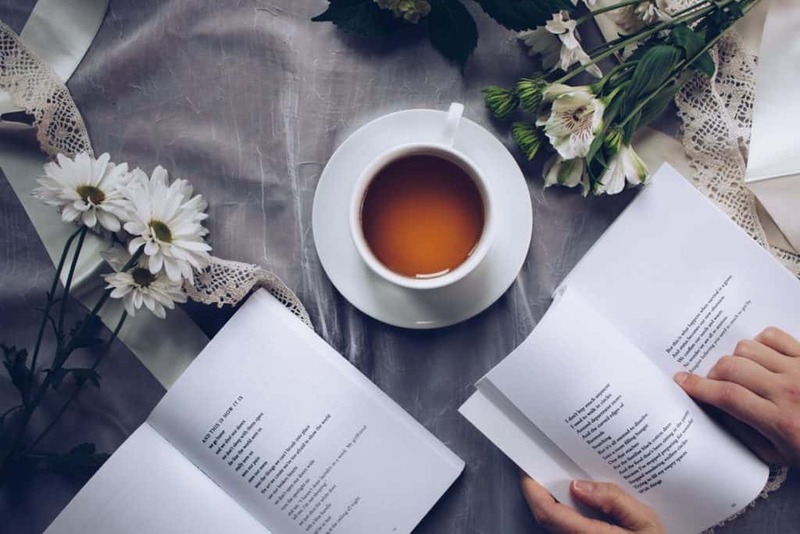 They add to the great body of your cup of coffee (specially if you get one of those freshly roasted bags of coffee in your coffee subscription box that has notes of hazelnut!). It will add a depth of flavour that you did not know existed — trust me when I tell you this! If you have not figured it out by now, the hazelnut is my favourite! An indulgent flavour to add to coffee, caramel is great for those times when you need a little something sweet. Caramel lattes are now staples on coffee menus and many add other flavours such as hazelnut or honeycomb for an extra special treat. If you have never had mint in your coffee, you are definitely missing out. The freshness and tingling that mint leaves behind when you take a sip are something to be desired. Coffee has long been served with mints on the side but now people have found how to get that great mint flavouring added into their coffee. A popular festive flavour, Gingerbread lattes, and cappuccinos are in exceptionally high demand during holidays. That said they are so delicious that many enjoy them all year round. The warmth from the ginger and the sweetness added to this coffee syrup really give you a well-rounded coffee. So, how do I use syrup in my coffee? One pump usually equals about 1/2 tablespoon or 1/4 ounce, Usually 1 pump = 1/2 tbsp = 1/4 ounce, so, for a regular serving size you need 4 pumps. Brew coffee using your preferred method (click here for a list of the best ways to brew coffee). Add 2 tbsp syrup for a standard cup or 3 tbsp if making a 12-ounce cup and stir. Heat up the milk in the microwave until steaming or froth in a milk frother and slowly add milk to your coffee while stirring. Add sugar to achieve the level of sweetness you normally like, or you can omit this step altogether since you are using the flavoured syrup.